The "strike" on the HNA building, which is located between East 51st and 52nd streets, has been in the works for months according to the Post and "is believed to be the first move by the Trump White House since Congress on Aug. 1 approved expanded authority of CFIUS — the Committee on Foreign Investors in the United States." Under the purview of the CFIUS authority, a "security pretext" needs to exist for direct government involvement, and in this case the seizure is tied to a "specific national security concern": the NYPD’s 17th Precinct is located on the ground floor on the south side of the building. Officers from that precinct, at times, are detailed to protect Trump Tower. While HNA could fight the seizure in a court battle that could take years to sort out, Post sources said. In a separate report from Bloomberg, HNA confirmed it has been questioned by the CFIUS over its ownership of a building in Manhattan "near Trump Tower", but denied the Post report that President Donald Trump’s administration is poised to seize a majority stake in the building, which the debt-saddled company has been looking to unload. “There is no seizure or forced sale of 850 Third Avenue underway or pending, and it is grossly inaccurate and misleading to suggest otherwise,” it said. It did, however, admit that CFIUS has raised concerns about some “unique facts and circumstances” regarding the location of the building, a representative for the Chinese company said in a statement. 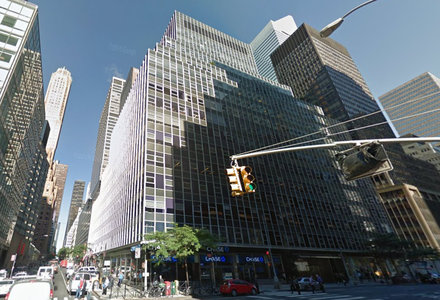 Those issues didn’t exist when HNA bought the 850 Third Avenue property, according to the statement. 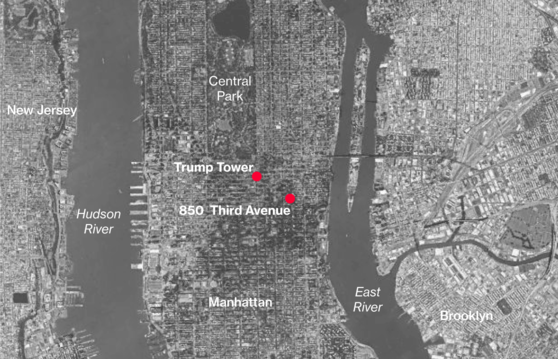 The 21-story building houses one of only two police precincts that are within a mile of Trump Tower, the president’s base when he’s in New York. HNA said it’s taking steps to address concerns voiced by the committee, without providing further detail. HNA - which bought the 850 Third Avenue building before Trump was elected -had become a poster child for a wave of global M&A rollups that shook the world in late 2015 and 2016, as Chinese corporations sought out high-profile deals around the world in what many had suspects was nothing more than legal money laundering, before the government started reining them in last year amid concern about unsustainable corporate debt levels. While HNA won't publicly admit it, the Chinese conglomerate which recently found itself in a liquidity crisis, has been scrambling to deleverage, and has sold more than $17 billion in assets to reduce its massive debt load; it has been marketing the Manhattan building among several properties it is considering selling. It was not clear if the alleged CFIUS seizure would result in a payment to HNA or would be conducted as a confiscation. While so far the CFIUS ramped up powers meant more deals get scuttled - including most notably the recent collapse of the Qualcomm-Broadcom deal and subsequent NXP-Qualcomm merger failure, it has so far left untouched any of the many trophy real-estate assets owned by China in Manhattan and elsewhere. The increased attention has seen some high-profile deals scuppered, such as Chinese billionaire Jack Ma’s attempt to buy Dallas-based payment provider MoneyGram International. Broadcom Ltd.’s $117 billion attempt to buy California’s Qualcomm Inc. -- which would have been the largest tech deal in history -- was shot down on concerns the merger would benefit China’s emerging telecommunications giant Huawei Technologies Co. This isn’t the first time HNA has crossed CFIUS’s radar. In late April, it abandoned plans to buy SkyBridge Capital from former White House Communications Director Anthony Scaramucci after waiting months for approval from the body. The group has also faced heightened scrutiny across its holdings worldwide, partly because of questions about its ownership. Meanwhile, even though China has continued to respond largely stoically to Trump's trade provocations, an outright seizure of Chinese real estate in the US would likely result in an instant - and aggressive - response from Beijing, with the most likely scenario to follow would be for China to make life for companies that produce their goods on the mainland - such as Apple - increasingly difficult, something the People's Daily hinted at earlier this week when it threatened Apple CEO Tim Cook that it would unleash "anger and nationalist sentiment" again the iconic phone maker, resulting in a collapse in Chinese sales and surging production costs, if China perceives that it is being pushed too far.